This recent Fast Company story on branding caught my eye “How better branding is pushing Kenyan teens to use contraception” It’s a great reminder that we may sell products – but we ALWAYS sell something more. 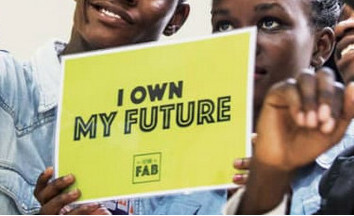 The story tells how Future Fab – by connecting with a kid’s dream of studying medicine or playing sport – created an opportunity to inform their target teenager audience about contraception. What’s the deeper dream you deliver? One of the most important reasons for you to get really close to your ideal customers – so you can find out what dreams they’re wanting to make real. You may sell fire pits – but are your customers seeking beauty, better family relationships, connection with nature, or increased property resale value? You may sell funerals – but are your customers seeking time to mourn a loss, a way to impress an extended family, or to celebrate of a wonderful life? You may deliver websites – but are your ideal customers seeking security and a one-stop shop? Or are they startup entrepreneurs who are happy to DIY their content? TIP: Re-read all your customer testimonials to see what they’ve told you about their dreams.